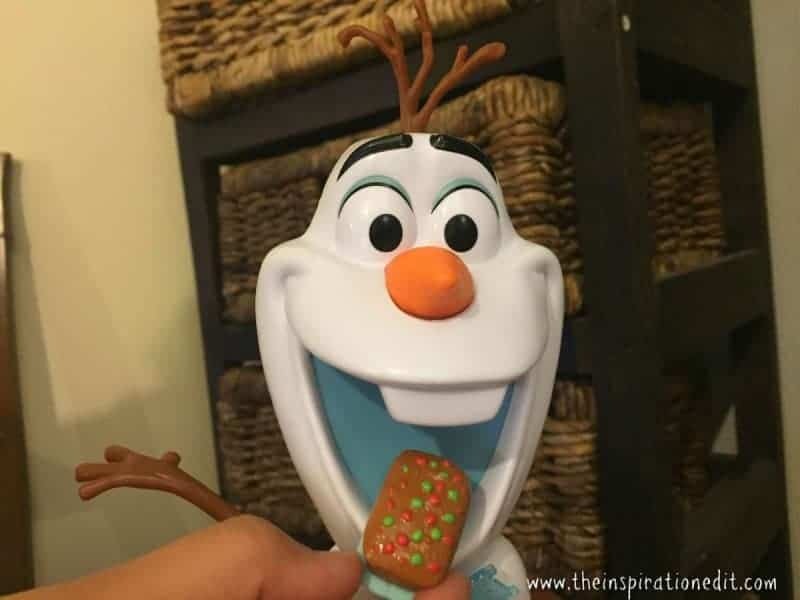 Today on The Inspiration Edit we are reviewing the Disney Frozen Olaf’s Adventure Snacking Talking Olaf. 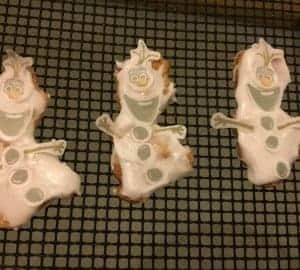 My daughter and I love Olaf, in fact we recently share our Olaf Nutter butters here on the blog which were a big hit. 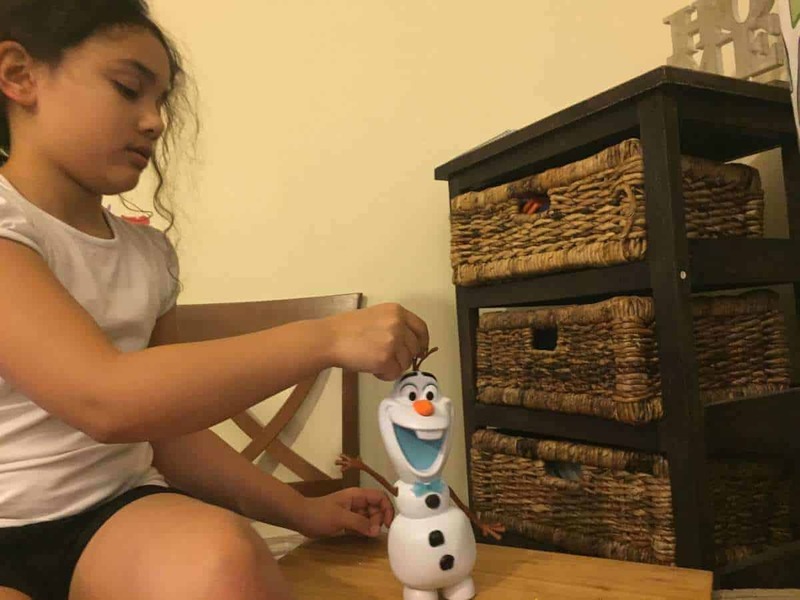 When it comes to food, toys and Olaf you really can’t go wrong. We hope you like our latest Hasbro toy review. 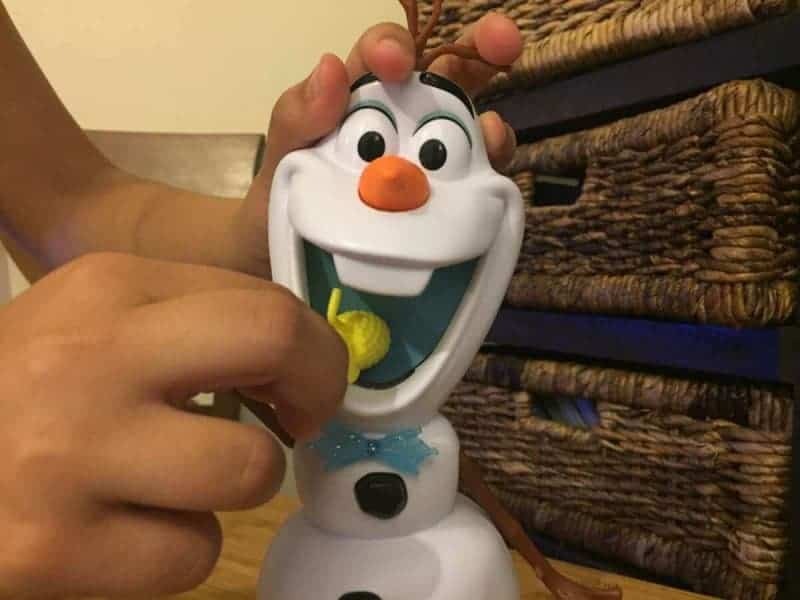 The Snacking Talking Olaf is a great new toy which is part of the Olaf’s Frozen Adventure range. The box contains one Olaf character and 4 fun food snacks. 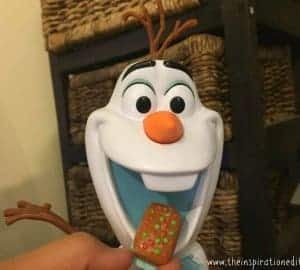 Just like the movie, Olaf’s Frozen Adventure, where Olaf tries to eat food and it simply slides out, you can feed this snacking Olaf and the food will slide out from behind. It is really quite fun and kept my daughter amused for some time. The Snacking Talking Olaf says funny phrases and makes funny noises when you feed him which adds to the fun. You can press his black button to hear him speak in his cute iconic voice. I think this is a great toy for kids and the fact the food slides out the back makes the toy really fun. 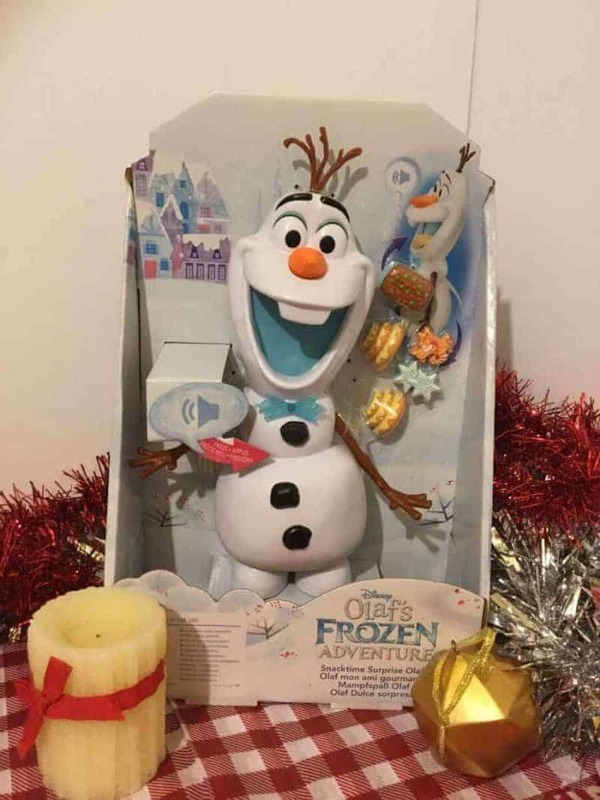 The Frozen Talking Snacking Olaf retails for around £26.99 and comes with batteries included. Sylvia is quite pleased to have this new toy and was excited to show it to her friend today after school. They played with Olaf and had a great time. 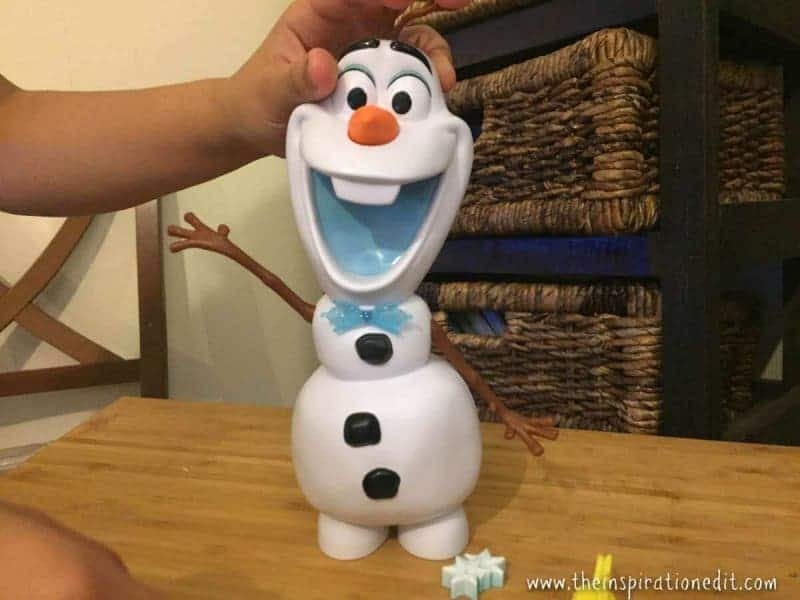 I think this is a real winner for anyone who is a huge fan of Olaf and would recommend it for kids around 3-8 years old. *We were sent this product for the purpose of review. All opinions are my own. 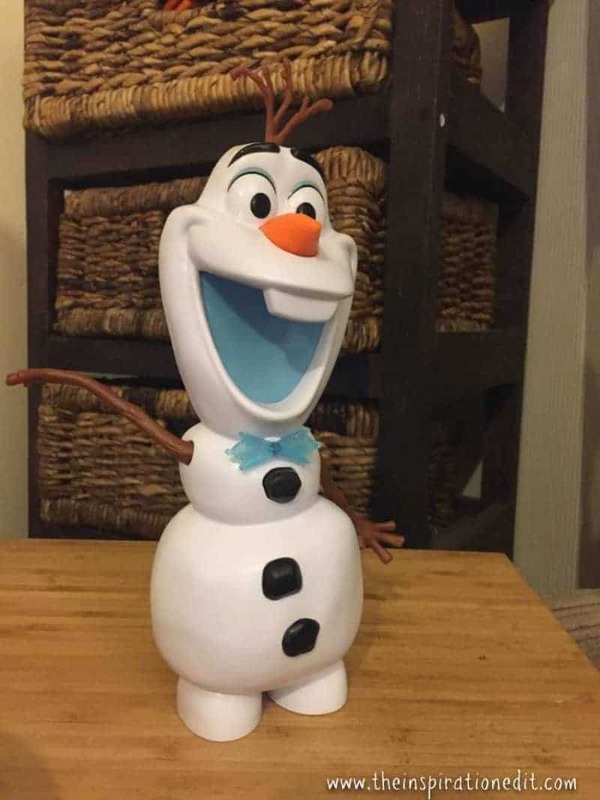 This is such a cute Olaf toy for smaller kids who love Frozen. I know that when the movie first come out my daughter was obsessed with him. This is a cute toy for a Frozen fan! I have never actually seen the movie so I don’t know if the snacking is in reference to something from the film or not. This is the cutest toy. We just love Olaf here. My daughter would have a blast with him. My Son will love this Snacking Talking Olaf. It is a great Christmas gift idea. I will have to add it to my shopping list. and it’s quite affordable too. awesome. 🙂 I bet she would love it. What an adorable toy! I loved your review. I’m looking for great holiday gifts for the little ones on my Christmas list. This looks like a great choice. 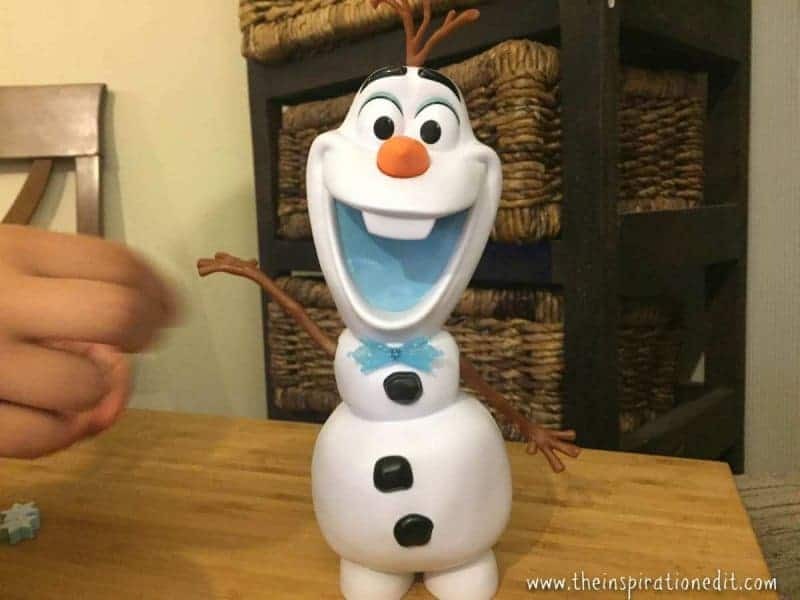 I actually thought that was real food in the first photo of Olaf! This is such a neat toy, I am sure my niece would love it! What an adorable toy! I can see how this would be great for learning hand-eye coordination as well! This toy looks so well made, cute and funny! Kids would sure love and enjoy it! Frozen is still Disney’s Super movie. I think this is a cute toy especially for a holiday gift for a child. how interesting and cute is this toy! quite innovative and a great gift for the coming holidays! This is precious! We love frozen at our house! Olaf is so cute! I wish my niece and nephew got this toy too! I bet they would love it. This is so cute and will make a great gift. I love Olaf. yes Olaf is a great gift. Omg I want to grab one olaf for my sister. She loves the Frozen characters.